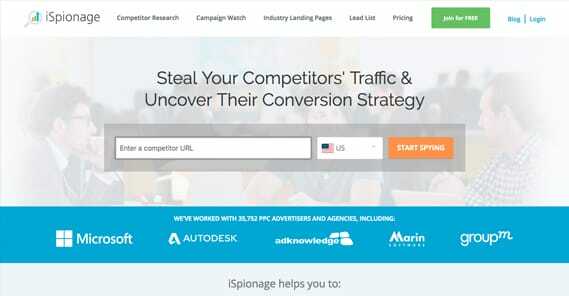 What is The Best Competitive Analysis Tool for PPC Ads? Competitive analysis is surprisingly valuable when it comes to PPC ads. PPC ads almost all operate via an auction system, with each company bidding what they’re willing to pay, with Google or whatever company then organizing the ads in positions equivalent to the amount they’re willing to pay. If you don’t know who your competitors are, and you don’t know what they’re doing, you’re going to have a hard time staying afloat. You can rest assured that your competitors are using these kinds of tools for their own analysis, pulling all kinds of information about you. It’s only fair that you do the same to them. Competitive analysis helps you learn about the other companies vying for position in the ads for the same keywords you’re using. It’s also a way that you can scout out new keywords before you invest yourself, to avoid instances where you simply don’t have the budget or the clout to make headway. Before we get into specific tools, first an overview. What can competitive analysis get you, and how is that information useful? First of all, such analysis can tell you who your competitors are. It goes deeper than just checking which other brands are bidding on the keywords, though. You can also analyze specific information about them, including their average bids. You can learn a few things with this information. For one thing, you can learn which competitors keep showing up but don’t have high enough budgets to matter. You can also discover new competitors – and which existing competitors seem to be ignoring the space. This can give you opportunities to get ahead of competitors who aren’t capitalizing on certain keywords you can use. When you know who your competitors are, you can learn what kind of competitor they are. You can figure out which ones are just big budget monsters crushing all competition, not worth fighting because they can out-spend you any day of the week. You can find others that are aiming at the same keyword, but with different enough goals that they aren’t even really competitors. You can find which ones are affiliates of other companies that you might consider competitors, and might even be able to use their own in-fighting competition against them. If you have affiliates, resellers, or partners, you can also double-check to see if they’re using your branding appropriately. A lot of affiliate programs have stipulations against using brand trademarks or even certain keywords, specifically to avoid competing with itself. You can use competitive analysis to determine if any of your own affiliates are violating your terms of service or cannibalizing your traffic. Most competitive analysis tools help you by pulling data from more than just one ad network. You might get information about AdWords, about Facebook PPC, about other social streams, and about the other major ad networks, all at once. A good marketing model will take advantage of multiple streams whenever possible. You can use this information to determine which competitors are using which services, for which keywords, and with what open space. If you find that a lot of your competitors are ignoring, say, DoubleClick, you can do some test runs to see if you can make it work. If you can, you have a great opportunity. You can also spot sabotage. Believe it or not, occasionally a miffed competitor will attempt to use the nature of the auction to attack you. Negative SEO exists, and so does sabotage bidding. A competitor might invest a budget bidding on your keyword explicitly so they can raise the price of the auctions, running you out of your position or forcing you to spend more. This can be great information to have, particularly if your costs have unexpectedly increased. One question you have to ask yourself when you’re performing competitive analysis is how are you going to use the information you get? You can, of course, make use of your insider knowledge to attempt to out-bid everyone by a few cents to get that coveted top spot in the ad lists. Is it worthwhile, though? In reality, the answer is probably not. In organic search, getting the #1 position is better than any other position by an order of magnitude. For PPC ads, that’s not always the case. PPC ads don’t have as strong a division between #1 and #2. This is fine; it means #2 isn’t as detrimental as it otherwise could be. More importantly, though, #2 is going to be cheaper. Position two or three will likely be moderately less expensive than #1, for a roughly similar click-through rate. Using competitive analysis, you can see what kinds of bids your competitors are making to reach the #1 spot, and you can decide to undercut them just enough to take #2 without falling to #3. Even if you get fewer clicks, you get a better return on your investment, and all you had to do was know about it. Now, the title of this post indicates that I’m going to tell you which competitive analysis tool is the best, but that’s slightly disingenuous. I’m going to give you my top handful of options, and let you make a choice. Each one has its own pros and cons, as with any set of services. After all, if you’re focusing entirely on AdWords, you don’t need a more expensive tool that scans other networks, right? First on the list is SpyFu. SpyFu is a web app that shows you a ton of information about a site just for plugging in the domain name. You can see the site’s organic keywords, estimated monthly clicks, and age. You can see the number of keywords they rank for that their competitors also rank for. You can see an estimate of the number of pages that have reached page 1 of Google and those that have fallen off recently. 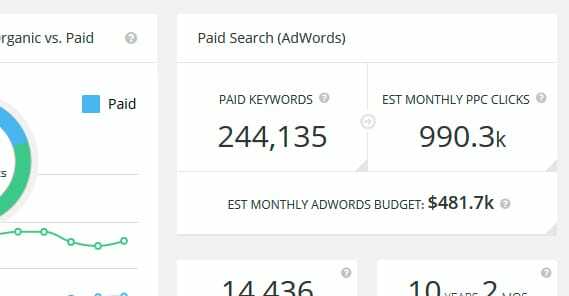 For paid ad research, you can see their paid keywords, their estimated monthly clicks, and their estimated budget. All of that is just the overview. When you drill down to PPC-specific information, you can see keywords, clicks, and budget, trends over the last months and years, how long they’ve been advertising, and a graphical representation of keyword distribution. One useful element is the competitors section; when you plug in one of your competitors, you can see which other sites are competitive with them. You can see if you show up there, and you can see which other sites show up there. You can also add in your domain to see how you compare in the graphs. SpyFu has a lot of other information as well. They can show you recommended keywords you might consider buying, you can see keyword groups, ad history complete with ad copy, and a bunch more. One of the most interesting features they have is a “kombat” tab, which allows you to plug in several domains and see how they compare. SpyFu has one drawback, which is a limitation of one search before you get prompted to register for an account. A free account works, but it’s still going to be limited with bulk data. For full data, you need to pay for at least the basic plan, which is $39 per month. 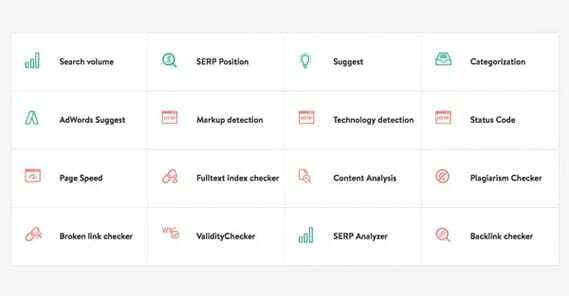 It gives you unlimited searches, exports, and overviews, with a limit on tracking specific keywords and some other elements. More expensive plans give you white label reports, API access, team access, and other such features. My second recommendation is SEMRush. SEMRush is a great tool, though it too has a free search limit. Crucially, their free search limit is lifetime; even if you haven’t checked back in months, you’ll still be prompted to register. Even then, a free registration only gives you an additional 10 requests, after which you need to pay to get more data. With such strict limitations, the data had better be good, right? Well, it is. SEMRush is actually an incredibly good domain analysis tool that shows you more than just PPC information. You get a bunch of SEO information, backlinks, traffic geographic origins, domain comparisons, and a whole lot more. 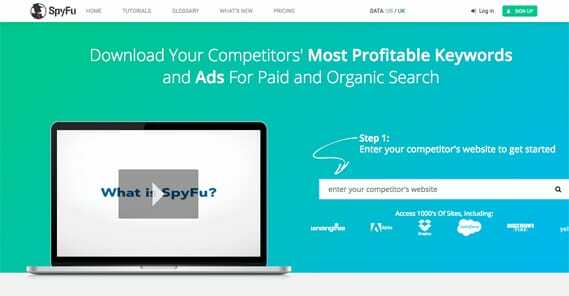 SpyFu is mostly limited to organic data and AdWords data, but SEMRush brings you Facebook and Bing advertising information as well. Also included among their services is the ability to track individual competitors and individual keywords, to monitor them for changes or opportunities. All of this is excellent, but it’s also quite expensive. The cheapest available plan is $100 per month, and it gives you a limit of 10,000 results per report, 3,000 reports per day, and only five projects at a time. 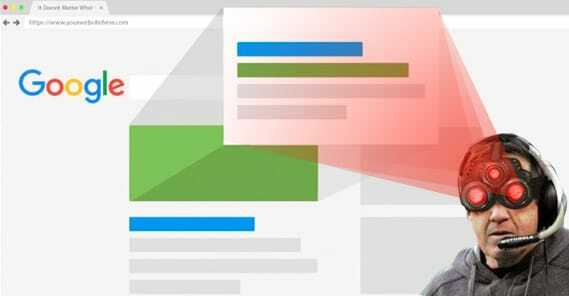 You have limits on keyword tracking, page crawling, report scheduling, and more. The crucial limits to me are the lack of whitelabel reports, lack of API access, and the lack of historical traffic data. For those, you need at least the one step higher plan, which is $200 per month. Even that plan doesn’t get you API access, though it does bump up the limits for all the various numerical restrictions. For API access you need at least the $400 per month plan. SEMRush is great, but it’s too expensive for most small businesses to really make use of in a way that’s profitable. After all, you need to be able to leverage the information you get directly to, in aggregate, at least increase your profits and decrease your costs by a combined equivalent of what you’re paying just to break even. Third on the list is iSpionage. This tool is a lot like SpyFu, though it tends to have slightly more accurate traffic data. When you plug in a domain, you get a readout for that domain, with the option to browse PPC or SEO data. For PPC data, you see a list of keywords, which tends to be a bit more limited than what SpyFu has. On the other hand, it too covers Bing/Yahoo, like SEMRush. You even get to see charts for both adjacent to each other. 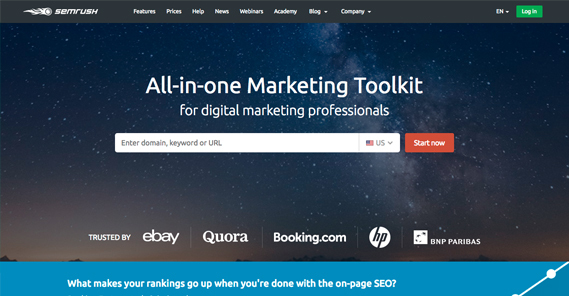 With the free version, you can see keywords and ad copy for those keywords, and the landing page those ads direct to. You can also see the top keywords, the number of ads they place for those keywords, estimated costs, search volume, and so on. The main downside is that all of the information you get for free is limited to just a small handful of results. This can be fine for very small businesses, but once you start getting dozens of keywords or more, you run out of relevance very quickly. On the plus side, pricing for iSpionage is reasonable. The basic plan is $30 per month and gives you the competitive research with 50 searches per day. You’re limited to just viewing data, with no easy exports, which is unfortunate. You do get to see estimated metrics like ad effectiveness and keyword effectiveness, and a gallery of competitive landing pages. Bump that up to $60 per month and you get unlimited searches, 10,000 data exports per day, and five keyword alerts, so you can monitor your most important keywords for changes that could signify an opportunity. For $100 per month you get 10x the data exports, white label reports, weekly campaign monitoring, and a bunch of other monitoring and alert features that can be useful in a very competitive niche. And, of course, they have an even more excessive plan for $300 per month, but I figure that’s outside of the range of most of my target audience. So, of those three, which one do I recommend? Honestly, I would have to go with iSpionage. The data tends to be a bit more accurate than SpyFu, though SpyFu does have a larger historical index. I really like SEMRush, but the expense is more than I can recommend to most people. Really, though, the choice is yours. What is Considered a High Ranking on Alexa.com?